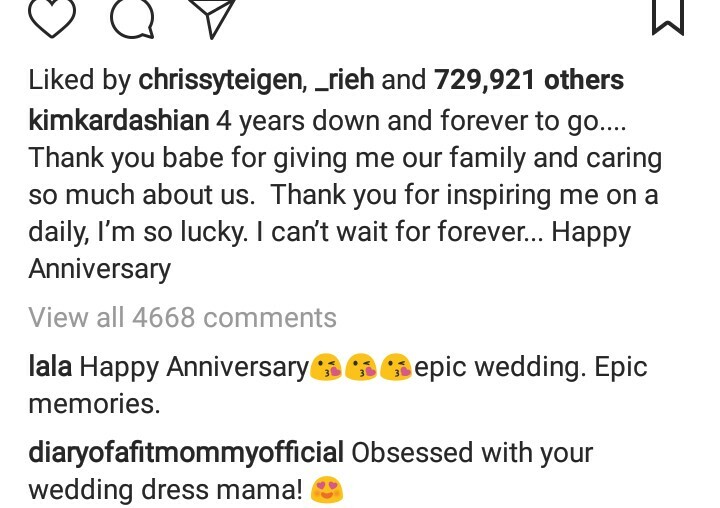 Happy wedding anniversary to both of them, even after fans said their wedding will not last for long but it four years already and blessed with 3 kids. 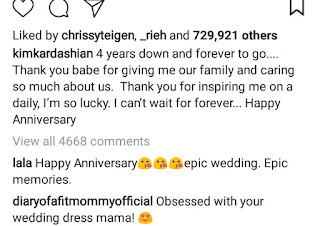 Kim Kardashian and Kanye West celebrate 4th wedding anniversary today, and the celebrant who couldn’t keep the joy to her self alone shared sweet heart warming words from dept of her heart. 4 years down and forever to go.. .Thank you babe for giving me our family and caring so much about us. 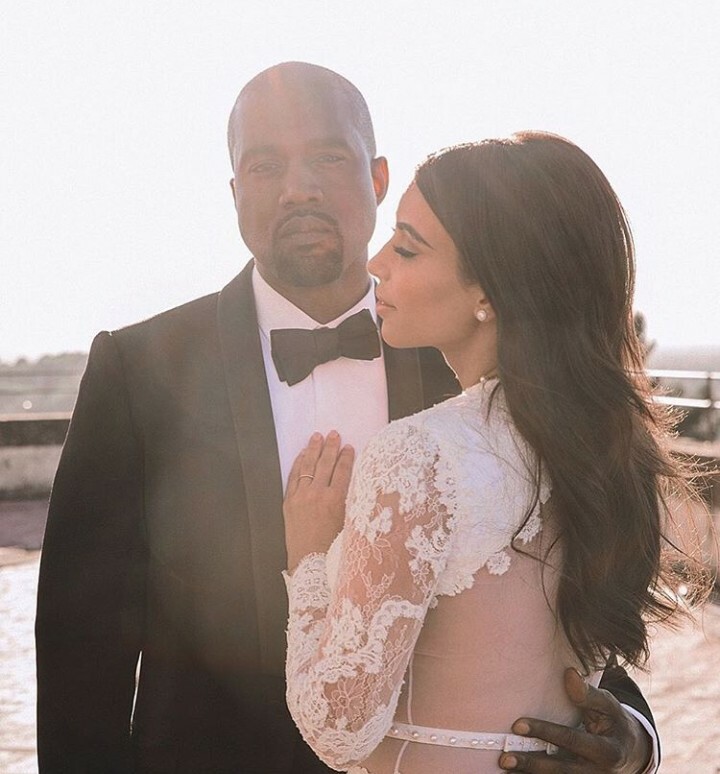 Thank you for inspiring me on a daily. I’m so lucky. I can’t wait for forever.. .Happy Anniversary.